René Marie has a voice, an approach, an artistry, a fearlessness, that is so appealing - no cookie-cutter she. A latecomer to the music industry (her debut album was issued in 1999 when she was 44), René Marie has more than made up for lost time. 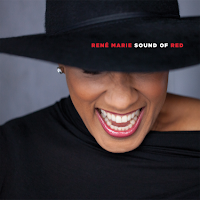 "Sound of Red" is her 11th CD (her fourth for Motema Music), her first album of original songs since 2011's self-released "Black Lace Freudian Slip" (10 of 13 originals), and a continuation of her approach to telling honest stories. This is certainly music that has been "lived in", played by her regular trio constituting of bassist Elias Bailey, drummer/co-producer Quentin E. Baxter, and her "new" pianist John Chin. If you listen to the splendid interactions throughout, one can tell many of these songs were "worked out" on stage. "Lost" is the longest track (10:36) but moves organically from vocal to solos to "trading 4s" and has such a vitality you forget that the lyrics tell of woman tired of being used but cannot change. Each member of the group is important to the story, from the sparkling drums to the piano's rippling phrases to the bass solo that brings everyone does to earth and back to the blues. Yet the music can't help but pick up and go back into a romp. "Sweet songs" intermingle with pointed messages. There's the delightful sway of "Colorado River Song" (replete with a handsome solo whistled by the vocalist) followed by "This is (Not) A Protest Song", a story about the "invisible" people in out society. From the homeless artist to the aggressive woman with dementia to a battered woman with two children, René Marie sings that these people could be us "but for a couple twists of fate." In the background is a chorus of "gospel" voices, all supplied by Shayna Steele, and the quiet acoustic strumming of guitarist Thad DeBrock. One of the prettier ballads is "Go Home", the story of a woman who tells her "lover" to get out of her bed and return to the person who loves him, the mother of his children - it's not that she wants him to leave but he needs to go. With just Chin's expressive piano supporting her heartfelt vocal, this song touches one's heart. Etienne Charles adds his trumpet and arranges the small horn section of trombonist Michael Dease and tenor saxophonist Diego Rivera to the sultry and spunky "If You Were Mine" (which one might view as the precursor to "Go Home"). Mr. Charles and company are also featured on the romping "Joy of Jazz" which tells the story how jazz developed in South Africa, a real dancing track, Chin's piano scampering atop the hot rhythm section with the horns adding support. Romero Lubambo's acoustic guitar leads the way into "Certaldo", a love story set in Tuscany but with a Brazilian influence. The title song features the soulful alto saxophone of Sherman Irby, digging into the funky sway of the rhythm section and making sure you understand the "Sound of Red" is rooted in the blues. René Marie closes this recording, arguably her finest, with "Blessings", a musical benediction for the world, filled with joyous wishes for a peaceful life. Baxter's martial drumming is reminiscent of John Robinson's snare work on Steve Winwood's "Back In the High Life Again" in the way the drums support and color the narrative, making sure we pay attention to the singer's message. Do pay attention to "Sound of Red" because your life will be richer and brighter for the experience. NPR does its best to keep jazz in the public's eyes and ears between "Jazz Night In America", Marian McPartland's "Piano Jazz", (now hosted by Jon Weber) and "A Blog Supreme." 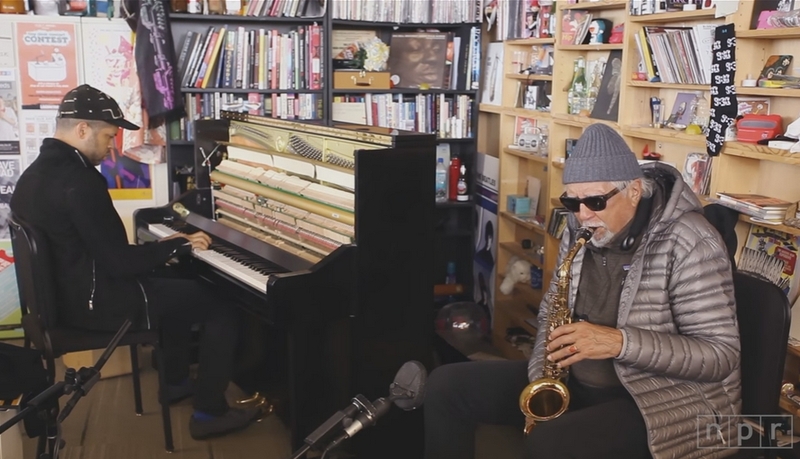 On occasion, you can see and hear jazz on the "Tiny Desk Concert" series. Among the artists who have recently played in the space behind Bob Boilen's desk (he being the creator and host of NPR's "All Songs Considered") have been Gary Burton & Chick Corea, Christian Scott, and Terence Blanchard. This week, the series debuted a 17-minute, three song set from the duo of Charles Lloyd (tenor saxophone) and Jason Moran (piano). Go ahead and listen as the two move through these selections with grace, poise, experimentation, and joy. Off we go to the Windy City to visit family, to welcome our new granddaughter, to play with our 4-year old grandson, to hug our daughter and son-in-law, and, hopefully, to catch some live music. I'll post a review or 2 along the way but regular verbal outbursts will be at a minimum. In the meantime, check out the Hartford Jazz Society calendar - www.hartfordjazzsociety.com/calendar.html - or Jazz Haven (in the New Haven area - jazzhaven.org/events/ - and, of course, The Side Door Jazz Club in Old Lyme - thesidedoorjazz.com. Alto saxophonist, composer and arranger Greg Ward, perhaps best known for his work with drummer Mike Reed's People, Places & Things band, has created a soundtrack for a new dance piece choreographed by Onye Ozuzu. The two artists, both based in Chicago, were invited to create a new, inter-disciplinary, work for the 2015 "Made In Chicago: World Class Jazz" series held in Millennium Park. Role Schmidt, executive director of the Chicago performing arts center Link’s Hall, had heard "The Black Saint and The Sinner Lady", the 1963 classic from Charles Mingus, and thought the 39-minute piece would be perfect for a new adaptation Once Ward heard the Mingus music, he felt that a new work created on the various musical concepts Mingus used would be better for his vision. Although the earlier work features an 11-member ensemble, Ward wrote his music for 10 instruments. Nevertheless, both pieces are written for dance (although the older work was not created for a specific dance troupe) and need the wider palette of sound. 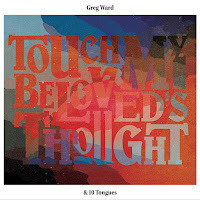 The new work, titled "Touch My Beloved's Thoughts" (Greenleaf Music, is credited to Greg Ward & 10 Tongues. He's assembled a talented ensemble that features Tim Haldeman (tenor saxophone), Keefe Jackson (tenor and baritone saxes), Ben LaMar Gay (cornet), Russ Johnson (trumpet), Norman Palm (trombone), Christopher Davis (bass trombone) plus the rhythm section of Dennis Luxion (piano), Jason Roebke (bass) and Marcus Evans (drums). Both the choreographer and the composer are influenced by Mingus's choice of source material, his use of blues, folk music and world music (today, we might dub this music "Americana") and his fearless nature. "Black Saint..." shows the influence that Charlie Parker, Max Roach, and Dizzy Gillespie had on Mingus's composing (he admits so much in his copious liner notes) but one must also note the effect that Duke Ellington had on the bassist. One should listen to "Touch My Beloved's Thoughts" all the way through each time. One can marvel at the arrangements, how the composer/arranger shares the melody among the participants, how the solos naturally rise out of the music, how each musician's voice counts, and how the ensemble gels in front of a live audience (the music was recorded at Constellation in Chicago). You do not need to see the dancers to enjoy the way the songs connect. Ward's alto soars on the opening cut, "Daybreak", yet he makes sure to step back to the ensemble so that the phrase that the reeds and brass play can lead in to "Singular Serenade", a handsome piano spotlight for Luxion (whose career includes recording and tours with trumpeter Chet Baker.) The pianist is also featured on the next track, "The Menacing Lean", an up-tempo bolero where he not only solos but has several interactions with the brass. The blues is so very important to the music. Tracks such as "With All Your Sorrow, Sing a Song of Jubilance", with its heartfelt bass trombone solo from Davis (he carries the melody as well), the sweeping sectional work, powerful piano fills, and the gentle touch of the bass and drums. Ben LaMar Gay's muted cornet solo on "Dialogue of the Black Saint", which comes after Roebke's powerful bass solo and the heated opening theme, is wonderfully impressionistic; you can almost see the dancers bending and moving with his exciting work. The program moves in many directions all the way, building to the powerful final track, "Gather Round, the Revolution Is At Hand" with its martial drumming, bouncy bass line, and excellent solos from Russ Johnson as well as Ward. The leader traverses over fascinating territory while also sharing variations of the melody with the piano and the other reeds plus the counterpoint of the brass and the powerful drumming of Evans (a longtime member of flutist Nicole Mitchell's Black Earth Ensemble). It's a stunning close to a splendid work of art. 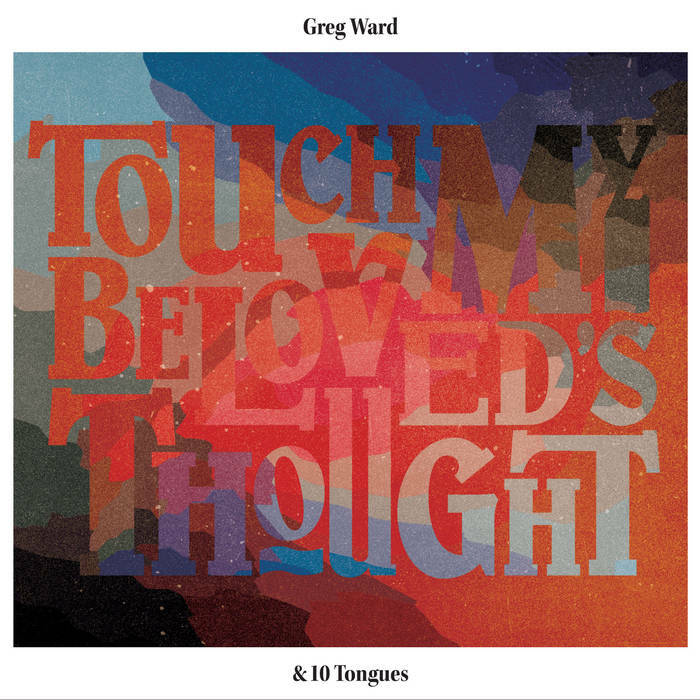 Though this is only his third album as a leader and first with a large ensemble, Greg Ward shows a distinctive voice as a composer (also, he has written for dance troupes before). Yes, there's a Mingus connection to "Touch My Beloved's Thoughts" but, because Ward utilizes some similar approaches, this piece does not feel overly derivative. In fact, this music sounds quite fresh. For more information, go to www.greenleafmusic.com/touch-my-beloveds-thought/. Excerpts from Touch My Beloved's Heart from BraveSoul on Vimeo. 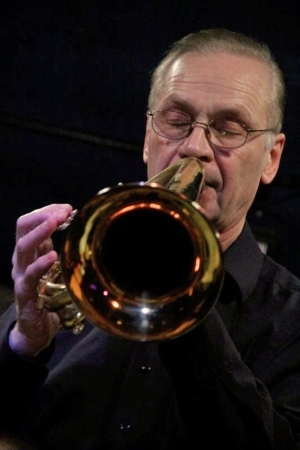 Scott Reeves, composer, arranger, flugelhorn and trombone player, is a Professor of Music on the faculty of the City College of New York. He's also worked with the big bands of Dave Liebman, Chico O'Farrill, Oliver Lake, and Bill Mobley. He has released four albums as a leader, all with ensembles of seven or less. "Portraits and Places" (Origin Records) is how fifth recording and serves as an introduction to the Scott Reeves Jazz Orchestra, a 17-piece ensemble with five reeds, five trumpets or flugelhorns (Reeves plays alto flugelhorn), four trombones, plus piano, bass, and drums. Reeves wrote the bulk of the material in his time with the BMI Jazz Composer's Workshop, working with such fine arrangers as Manny Albam, Mike Abene, Jim McNeeley, and Mike Holober. In the liner notes to the new album, Reeves gives thanks to most of the people listed above plus Duke Ellington, Kenny Werner, Bob Brookmeyer, David Baker, Gil Evans, and Thad Jones. When you listen to this 8-song program, you'll hear many of this influences, especially Thad Jones. His 50-year old (and going strong today as The Vanguard Jazz Orchestra) ensemble that he started with drummer Mel Lewis was a proving ground for McNeely and Werner as well as a return to form for Brookmeyer. In his music, Reeves has fun with the various sections of his Orchestra, writing melodies that often leap from one to another. You'll hear that on "3 'n' 2", a barn-burner that serves as a showcase for the strong tenor sax work of Tim Armacost and the bright tone of Bill Mobley's trumpet. But listen to the powerful drumming of Andy Watson (Jim Hall, Toshiko Akiyoshi), the chordal contributions of pianist Jim Ridl, and the foundational bass work of Todd Coolman. The blues is a big part of this music. The album opens with "The Soulful Mr. Williams" (composed of the late pianist James Williams), a medium-tempo stroll with references to "A Love Supreme" from the leader on his alto flugelhorn solo and in the chordal structure. Yet, listen to how sections call-and-response before Ridl's dancing piano solo. The blues is also the powerful force behind the final track, the aptly-titled "Last Call." Here, the solos go to the low tones of bass trombonist Max Seigel (Roy Hargrove Big Band, Lincoln Center Jazz Orchestra) and baritone saxophonist Terry Goss (NY Jazz 9) plus the plunger talents of trumpeter Seneca Black (LCJO). The centerpiece of the recording is the three-part "L & T Suite." Dedicated to Reeves' wife Janet (a pianist), the leader weaves in thematic quotes from different composers, three of whom, Igor Stravinsky, Aaron Copland and Bela Bartok, whose work was written for a ballet - the fourth influence is Leonard Bernstein whose thematic material is from his "Symphony no. 2." Each section does have great "movement", with "Wants to Dance" moving on the strength of Watson and featuring a stunning solo from alto saxophonist Steve Wilson. "#2" or "A Trombonist's Tale" is slower, has a gentle sway heard in the sectional work as well a delightful solo from Matt McDonald (trombone, of course). The final "movement" - "Hip Kitty" - belongs to the romping reeds, powerful brass, and the bluesy piano of Ridl. Vocalist Sara Serpa appears on two tracks, the thoughtful yet uptempo "Osaka June" with fine solos from Wilson (soprano sax) and Ridl in the midst of glorious section writing. Ms. Serpa's reedy voice is paired with the brass and it's a pleasing juxtaposition. She does get minute or so in front of the band but soon steps aside for the solos. Her soft voice stands on the pleasing arrangement of Antonio Carlos Jobim's "Aquas de Marco", singing unison with the flutes and, after the fine piano solo, is shadowed by the clarinets, returning near the end to help those flutes take the piece out. "Portraits and Places" not only does the legacy of Thad Jones justice but continues to build upon it. 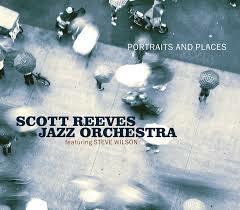 If anything, the original compositions and arrangements of Scott Reeves have more structure, more of a role in the themes of the compositions, and, at many times during the album, a playful sweep and a joy about them. Open the windows and let this music fly. For more information, go to www.creativejazz.com. 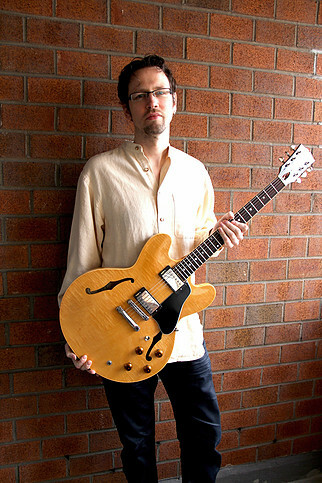 Sebastian Noelle, German-born guitarist and composer, is probably best known as a large ensemble guitarist. He's a member of Darcy James Argue's Secret Society, the Chris Potter Big Band, Joe Phillips Numinous, the New York Soundpainting Orchestra, and Jeff Fairbank's Project Hansori, and others. He has also worked in smaller groups and his first two CDs for Fresh Sound New Talent as a leader featured quintets. "Shelter" is his third CD for the label (fourth overall) and it, too, features five musicians. Joining the guitarist on this 10-track program of originals are Marc Mommaas (tenor saxophone) and Matt Mitchell (piano) plus the superb rhythm section of Matt Clohesy (bass) and Dan Weiss (drums). Listening through several times, the work of the rhythm section and how the piano, bass, and drums create sparks on just about every cut stands out. Noelle's compositions and arrangements are smart, the melodies offer the rhythm section choices. Listen to how Weiss constantly changes his accents and snare drum on the medium tempo ballad, "Another Spring" and how Mitchell and Clohesy frame the melody of "Day Off." The rhythm section gives Mommaas such a sweet cushion on that latter track, enough so his solo feels effortless. There is a deliberate quality during the introduction to "Mirror Lake"; then the piece goes in several different directions with a fascinating fragmented melody before a splendid solo from Mitchell (he dazzles in several solos on the album). Noelle's folk-like introduction to "Home In a Strange Land" includes Clohesy on the melody over the circular piano lines. Soon, Mommaas takes the melody, sharing the second half with the bass. Everyone but Weiss gets in on delivering the theme yet he's quite active under the tenor and guitar interaction. 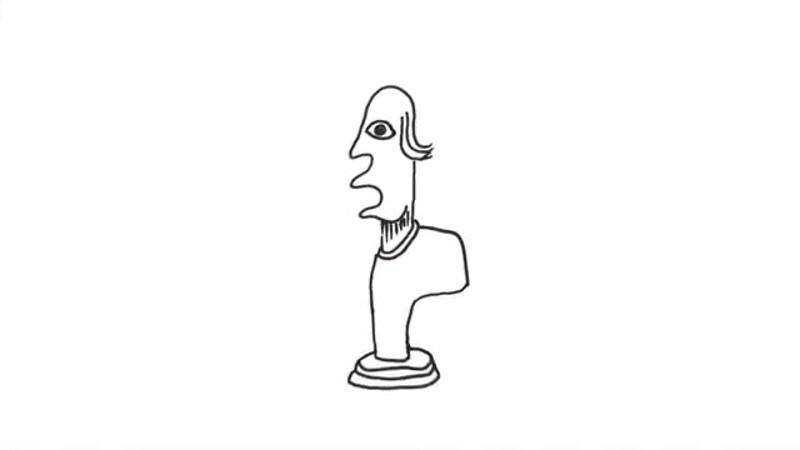 The influence of Indian music is evident on "Ahir Bhairav." - Based on a classic Indian modal form, the piece gets its power and movement from the circular melody lines and Weiss's tremendous drum presence. Most listeners know of his vast knowledge of tabla drums and Indian rhythms; on this track, he uses his trap set to lay the melody line, bouncing around beneath the powerful guitar solo while Clohesy stays tethered to the song's thematic material. It's just so amazing to hear how the entire band states the rapid-fire melody before and after the impressionistic tenor sax solo. 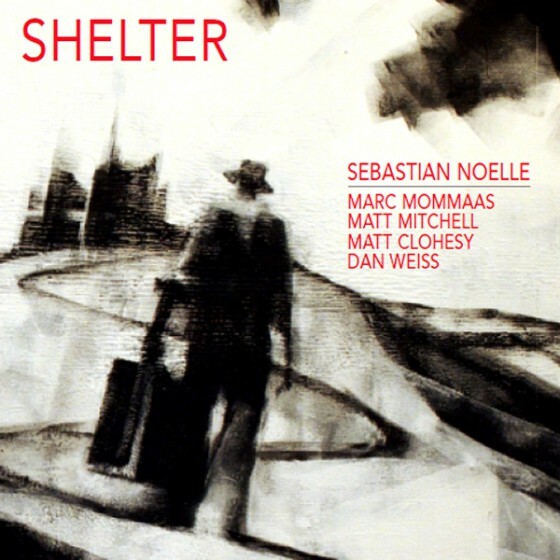 "Shelter" is such a full band project. Sebastian Noelle has created music that involves his entire group and the listener. His handsome melodies and intelligent arrangements plus the fine work of his Quintet allows the listener to "get lost" in the music, to savor the delightful rhythms and the interactions within each piece, and, ultimately, to enjoy the results. For more information, go to www.sebastiannoelle.com. 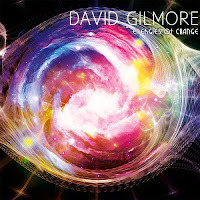 Guitarist and composer David Gilmore, a native of Cambridge, MA, is in the midst of a very busy career. His guitar playing has graced albums by Wayne Shorter, Sam Rivers, Cassandra Wilson, Steve Coleman, Jeff "Tain" Watts, and many others as well as touring with the likes of Mavis Staples, Me'Shell N'degocello, Isaac Hayes, and Melissa Etheridge. "Energies of Change" is not only the name of the guitarist's latest CD (released on Evolutionary Music) but also the name of the Quintet playing the music. 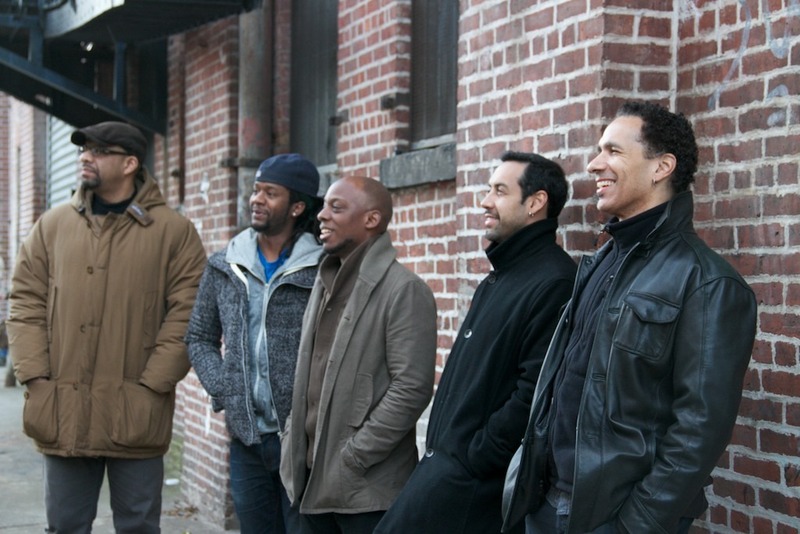 Recorded in December of 2010 (with additional work in November 2012), the nine originals feature the guitarist with Marcus Strickland (soprano, alto, and tenor saxophones, bass clarinet), Luis Perdomo (piano), Ben Williams (bass) and Antonio Sanchez (drums). This is a band of great soloists and leaders and they give Gilmore so many sonic possibilities. The music can soar as it does on the fiery "Rajas Guna" with its Mahavishnu-like melody line. Strickland (on tenor) and Gilmore take advantage on the tremendous work of Perdomo, Williams, and, especially Sanchez who continually pours percussive gasoline on the musical fire. "Over Shadow Hill Way" reads like a Wayne Shorter title and even sounds like it could have come off of the great saxophonist's 1995 "High Life" album. The percussive attack of both Strickland (soprano) and Gilmore is fueled by Sanchez's inventive give-and-take while Perdomo responds with lines that ripple across the keyboard. The drummer teams with guest Kofo Wanda (talking drum) on "Dance of Duality" to create a sensuous rhythm, aided pleasingly by Williams pulsing bass lines. The blend of soprano sax and guitar,the percussive counterpoint of Perdomo's piano plus the percussion interaction makes this track a joyous romp. The fluidity of the piano and guitar on the opening of "Awakening" leads the listener into what sounds like a typical world. But, surprise, there's a "straight-ahead swing" section for Gilmore, Williams, and Perdomo craft fine solos. There is more of a gentle swing on "Sacred Pause"; after the soprano and guitar state the melody, Strickland creates a solo that flies above the rhythm section setting the stage for Perdomo's dancing solo. Sanchez's cymbal work, the counterpoint of the bass, and Gilmore's easy chords keep the attention on the solos. The leader gets his turn as well, creating a furious dialogue with the drummer that shakes up the song but does not knock it off its moorings. The CD ends on a fine and funky note, with the clicking guitar and rattling drums leading the tenor saxophone and piano in to "Trick Of I." Gilmore's solo is a highlight, moving from rapid-fire single-note lines to a chordal conclusion (they reappear again during the fadeout) that leads into Strickland's rapid-fire lines. Give this album some time to sink into your mind. Listen to how well-balanced the songs are, how David Gilmore arranges each piece so that every member of the quintet plays up to his full potential, and how Antonio Sanchez gives each track such life from his drum seat. If you enjoy guitarists like Kurt Rosenwinkel and Brad Shepik, "Energies of Change" should make you very happy. For more information, go to www.davidgilmore.net. Summer's Here, So's Live Music! The Side Door Jazz Club in Old Lyme presents vocalist and composer Tessa Souter in an intimate trio session this Friday (6/25) at 8:30 p.m.Ms. Souter, born in London, England now based in New York City, first came to critical notice in 2004. After several years working as a journalist, she started to study with vocalist Mark Murphy and has recorded 4 albums with her most recent being 2012's "Beyond the Blue", produced by the Japan-based Venus Records and released in the United States by Motéma. That album combines Ms. Souter's lyrics with classical works by the likes of Chopin, Schubert, Beethoven, Ravel, and others. She's a marvelously articulate singer, caressing ballads without making them treacly. Her material comes from many different sources; besides her own material, her repertoire includes works by Cream, Paul McCartney, Burt Bacharach, Van Morisson, and Antonio Carlos Jobim. For this concert, she'll be accompanied by guitarist David Gilmore and bassist Boris Kozlov (best known for his work in the Mingus Big Band.) Much of the material in Old Lyme will come from Ms. Souter's upcoming album. The doors open at 7:30 p.m. For more information, go to thesidedoorjazz.com or call 860-434-0868. To learn more about the vocalist, go to tessasouter.com. On Saturday night, Jan & Ken welcome the Vincent Herring Quartet to The Side Door. 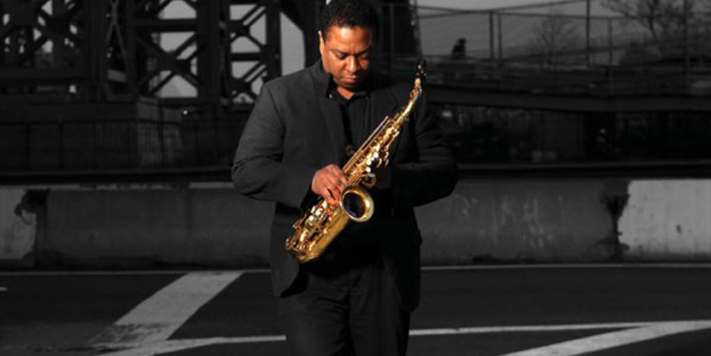 Herring, an alto saxophonist who's been on the "scene" for over three decades, first worked with cornettist Nat Adderley, brother of Cannonball (Herring is now a member of the Cannonball Adderley Legacy band). He went on to work with Dizzy Gillespie, Freddie Hubbard, Wynton Marsalis, the Mingus Big Band and many others. He's been on dozens of recordings while issuing 19 of his own. Joining him in Old Lyme is his regular Quartet which includes Mike LeDonne (piano), David Williams (bass), and Carl Allen (drums and then some). They'll play some serious hard-bop plus a number of fine ballads. The Vincent Herring Quartet takes the stage at 8:30 p.m. For more information, call 860-434-0886. 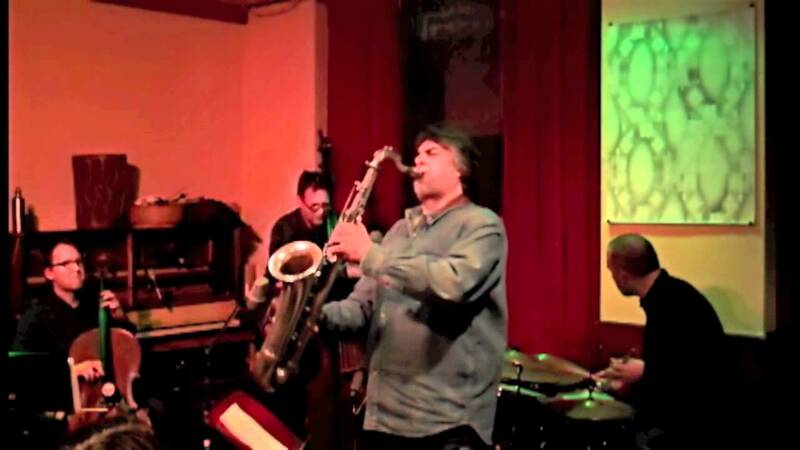 Here's a piece from his 2013 Smoke Sessions Record release "The Uptown Shuffle:"
On Friday, The Buttonwood Tree, 605 Main Street in Middletown, presents Medusa, a quartet from Hartford that features tap dancer Corey Hutchins, drummer Jocelyn Pleasant, pianist Orice Jenkins, and bassist Matt Dwonszyk. The dancer and the drummer met at the Artists Collective in Hartford, formed a group to play mostly standards and great r'b' tunes. Once they added Jenkins and Dwonszyk, they really took off, playing gigs throughout Connecticut and also throwing in some original material. Tap and Black American music has a history that goes back to the mid-19th Century, really growing in popularity from the 1920s through World War II (and beyond - witness Savion Glover). Medusa will play from 8 - 10 p.m. with a short break. For more information, go to www.buttonwood.org. On Saturday, bassist Dwonszyk heads to Integrity 'n' Music, 506 Silas Deane Highway in Wethersfield, to play alongside tenor saxophonist Bennie Wallace and drummer Carmen Intorre. Wallace, a native of Chattanooga, TN, moved to New York City in the mid-1970s, formed a group with bassist Eddie Gomez (Bill Evans Trio) and drummer Eddie Moore, releasing his debut Lp in 1977, "The Fourteen Bar Blues." Over the decades, he's recorded with pianist Tommy Flanagan, Dr. John, Kenny Barron, Chick Corea, Dave Holland, and Oliver Lake plus he created or creating the orchestrations for movie soundtracks such "Bull Durham" and "White Men Can't Jump." He has always had a "big" sound, with a tone more akin to Coleman Hawkins and Ben Webster than John Coltrane (although Wallace has often shown a "wilder" side in his playing). Wallace is now living in Greenwich, CT, where he is the artistic director of Back Country Jazz, a program he created in 2007 to help stem the loss of music and arts programs in the public schools. He brings top-notch artists to work with the children and created several ensembles featuring the students. Integrity 'n' Music is located in the rear of the building at 506 Silas Deane Highway. The concert, which starts at 2 p.m., is free and open to the public. For more information, call Ed K at 860-563-4005. 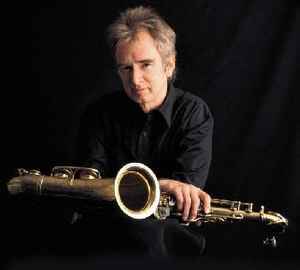 The young tenor saxophonist from the Hartford area, Mike Casey, is beginning to spread his musical wings. Casey, a graduate of the Jackie McLean Institute of Jazz at the University of Hartford, has been writing a slew of new songs and has developed quite a Trio with bassist Alex Tremblay and drummer Mike Scott. The ensemble has gelled nicely over the past 12 months and you can hear for yourself on Saturday evening when the Mike Casey Trio at the Passages Gallery, 509 Farmington Avenue in Hartford. For more information, call the Gallery at 860-523-3232 or send an email to passagesgallery@aol.com. 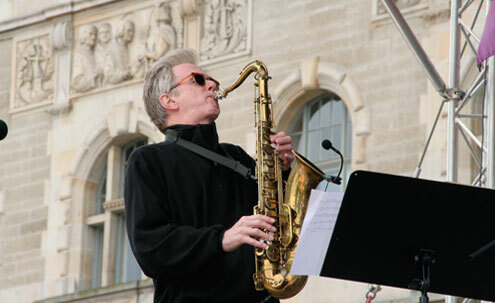 To learn more about Mike Casey, go to www.mikecaseyjazz.com. From the outset, the new album from guitarist and composer Rez Abbasi & Junction is a barn-burner. "Behind the Vibration" (Cuneiform Records) is an electric ensemble in so many ways. Joining Abbasi is Mark Shim (tenor saxophone, MIDI Wind Controller), Ben Stivers (keyboards, organ, Fender Rhodes), and Kenny Grohowski (drums) - this music has the passion of the guitarist's other bands, from the RA Acoustic Quartet to his Invocation Sextet with Vijay Iyer, Rudresh Mahanthappa, Dan Weiss and others. Abbasi plays expansive solos throughout, riffing like a saxophonist or shredding over the impressive drive of Grohowski (his work underneath solos has such a relentless feel) yet he leaves room for Shim's powerful tenor sax and Stivers' battery of keyboards (especially his excellent use of the organ). 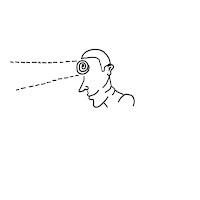 Pieces such as "Inner Context" and "And I You" show the range of the quartet. The former opens with guitar and organ playing the two-part melody slowing building until the drums enter, then the tenor sax. Shim joins Abbasi in the melody while Stivers, on organ, plays counterpoint. They ease into the solos section with Abbasi playing in a restrained yet intense fashion before Stivers (on B-3 organ) plays a strong solo over his bass lines, the rhythm guitar, and the ever-intensifying drums. Shim gets the "out chorus" (the piece fades out on his spot), the most powerful of the solos. "And I You" features a droning organ, quiet sax, and, under the surface, quiet brush work. The guitarist gets the opening melody while the long middle section is organ chords over the drums. But, the piece ends with the melody, filled out by the tenor saxophone playing in unison (with a touch of harmony) landing on a quiet guitar chord. There are moments when this music is reminiscent of Chick Corea's electric Return to Forever (but, happily, without the occasional bombast). The Fender Rhodes, the Wind Controller, and effects-laden guitar on "Self-Brewing" are pushed forward by Grohowski's active drums - his powerful work often sounds like Billy Cobham's work with the Mahavishnu Orchestra. Listen to how he responds to Abbasi and Shim as they solo on "Groundswell" and they to him. He and Shim (on Wind Controller) spar throughout the latter's solo on "New Ritual", then he challenges Stivers as the organist slams into his solo. 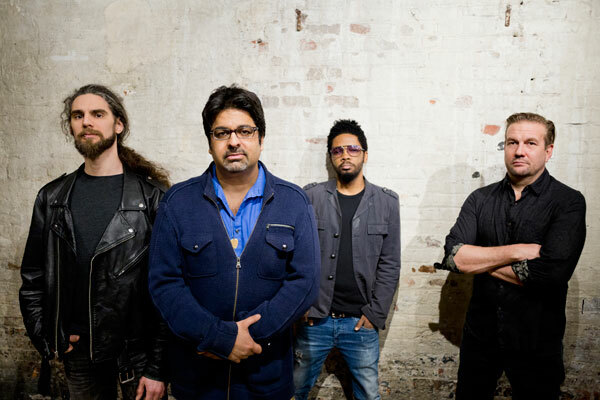 The drummer lays back as Abbasi brings the intensity level down at the onset of his solo but the two, pushed by the organ and Wind Controller, are soon picking up the pace. To my ears, "Behind the Vibration" is warm weather music (although the fiery pieces can certainly heat up a cold winter's night). 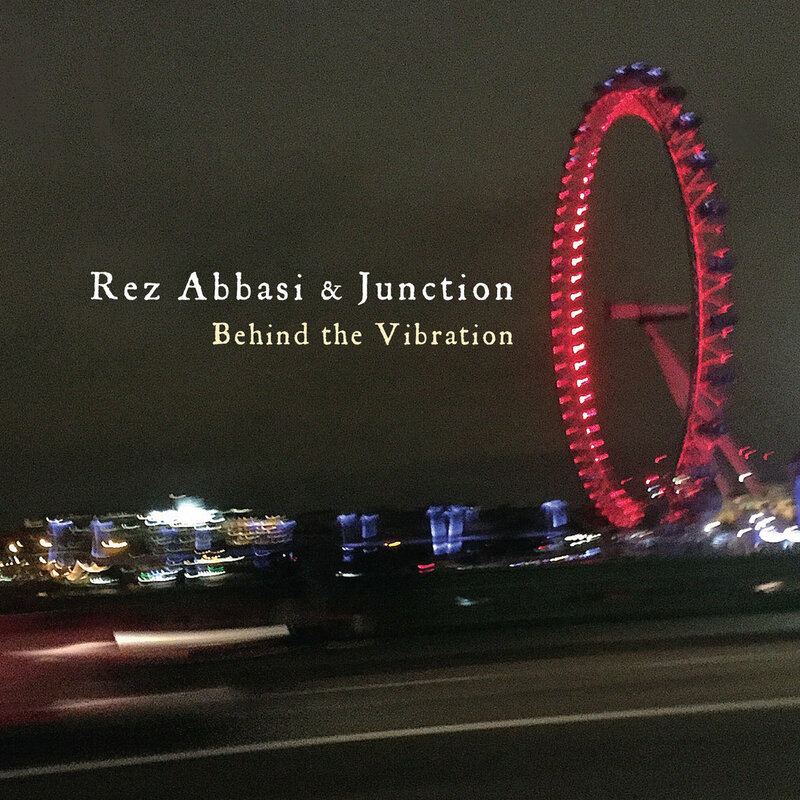 The dynamic range of Rez Abbasi & Junction is quite impressive; for such electric music, there are a good number of times when the band deals with the interaction of space and silence. Best of all, there are well-developed melodies for the band members to build solos and for the interactions that are at the heart of this music. Rez Abbasi rarely, if ever, sits still and is always worth listening to. Thumbscrew, the trio of guitarist Mary Halvorson, bassist Michael Formanek, and drummer Tomas Fujiwara, first worked together in 2011 when the bassist subbed in cornetist Taylor Ho Bynum's Sextet. They hit it off from the beginning, first recording as a cooperative trio in 2013; both Ms. Halvorson and Mr. Fujiwara are now member of Mr. Formanek's Ensemble Kolossus (the 18-piece ensemble's new ECM recording is quite impressive). 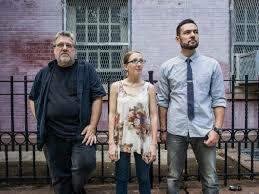 The Trio's second CD, "Convallaria" (Cuneiform Records), is the result of a two week residency at City of Asylum, an impressive arts community in Pittsburgh, PA. For three such busy musicians - each leading his or her own ensembles - to have the opportunity to work, compose, improvise, and play together was crucial. In the words of Ms. Halvorson, "It really helped us to take the band to the next level." The beneficial time spent together is in full evidence on this often-breath-taking collection of songs. With 11 tracks and a generous 73+ minutes of music, the album is impressive in its scope, its variety of sounds and rhythms as well as the intuitive interactions. For the most part, the trio keeps melody front-and-center - the album opener, "Cleome", which like the title of the session is named for a flower (cleome is best recognized as "spider flower" while convallaria is "lily of the valley"), builds off the power of Fujiwara's conversational drumming, Formanek's thick bass lines, and Ms. Halvorson heady combination of chords and single-note runs. The guitar solo buzzes as the drummer roils right alongside. "Convallaria" has quite the bounce in its step with both Ms. Halvorson and the bassist working off Fujiwara's rock-solid drive (he does have fun varying the tempo at times). Those of you who know these three musicians as being involved with "free" music may be surprised how music of this music has steady rhythms. The songs don't swing per se but there are several tracks that absolutely rock out. "Barn Fire Slum Brew" opens with a funky stop-and-start before Formanek and Fujiwara propel the piece forward. After a subdued opening with the bass and guitar playing a handsome melody (excellent counterpoint from the bass), the trio moves "The Calendar and the Weathervane" in a "metal" direction with a hardy fuzzed-out solo from Ms. Halvorson. She and the rhythm section stop abruptly and, after a short silence, return to the peaceful tone of the opening section. The program closes with a medium-tempo ballad, "Inevitable", that includes a guitar solo which moves in and out of "bent" notes and chords while the bass lines move in and around the solo. Fujiwara illustrates how best to employ brushes with both forcefulness and gentleness. 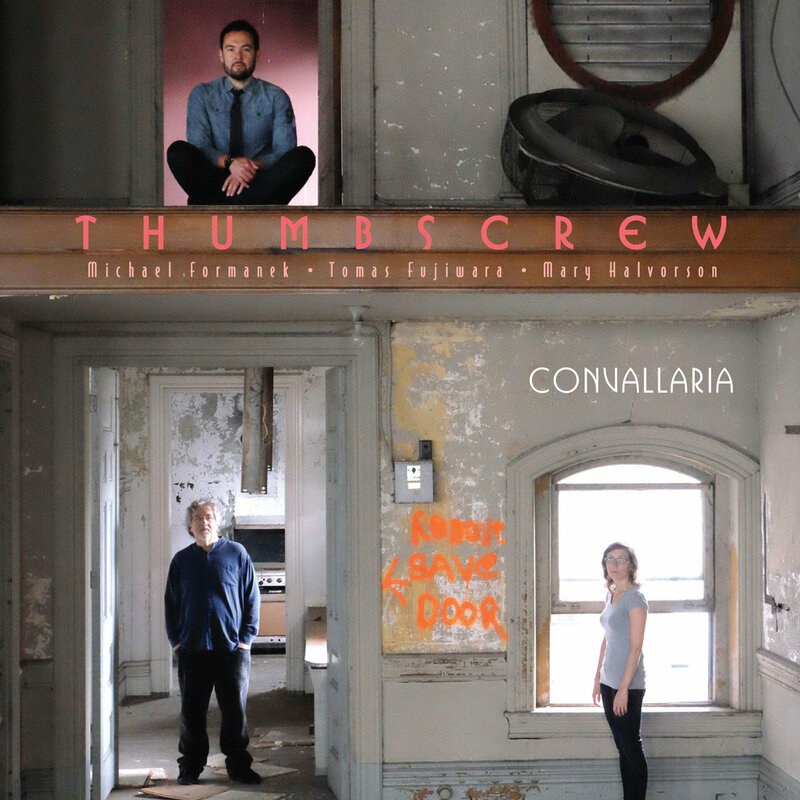 Thumbscrew makes thoughtful music, songs and sounds that both challenges the listener and rewards him or her. 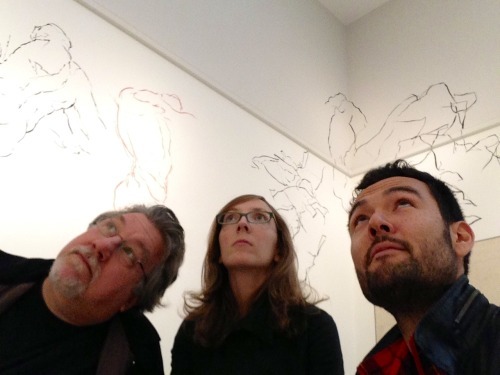 It is easy to discern the comfort level that Mary Halvorson, Michael Formanek, and Tomas Fujiwara have each other, that they can be "themselves" in a cooperative trio while creating a "group" sound. "Convallaria" is engrossing music that bears repeated listening. Pianist, composer, educator, and author Noah Baerman hosts the Jazz Up Close series at the Russell Library in Middletown approximately four times a year. 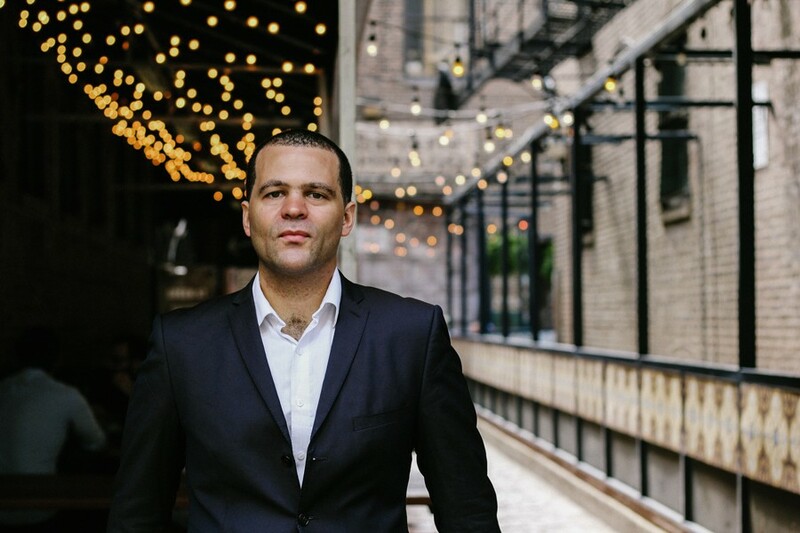 This Thursday (June 16) as part of the "Spanning Generations Up Close", Noah and bassist Henry Lugo will perform with guest artist guitarist Monnette Sudler, the Philadelphia, PA native and still a resident. Here's how the pianist described his guest in his promotional material. "Forty years after recording "Time for a Change", her debut as a bandleader for SteepleChase Records, Monnette Sudler is still a potent force in music. Adept at straight-ahead jazz, avant-garde music and R&B, she has collaborated with a comparably diverse cast of musicians, including Grover Washington, Jr., Hugh Masekela, Sam Rivers, 'Philly” Joe Jones, Kenny Barron, Khan Jamal, Cedar Walton, Shirley Scott, Byard Lancaster, Steve Turre, Sunny Murray, and rapper Erik Honesty (Ms. Sudler’s son). Her current projects include Sisters in Poetry (in collaboration with poet Trapeta B. Mason), the Ladies Night Out quartet, and the Monnette Sudler World Music Ensemble featuring Liberian vocalist Fatu Gayflor, as well as serving as the organizer of the annual Philadelphia Guitar Summit. Ms. Sudler is a graduate of Temple University and is active as an educator, having recently authored the instructional book "Motif Mojo Jazz Guitar." Ms. Sudler has issued six CDs since her debut, the latest being 2012's collaboration with Ladies Night Out titled "First Born." The album is a delightful blend of vocals and instrumentals, with a clean sound all around and several gospel-flavored tracks. If you are a regular attendee of these concerts, you know that the artists take time to answer questions from the audience. It's .amazing what one can learn and how the artists give a glimpse into the creative process. The concert begins at 7 p.m. and takes place in the Hubbard Room. As always at the Library, the show is free and open to the public. For more information, go to resonantmotion.org/jazz-up-close/. To learn more about the guitarist, go to www.monnettesudlermusic.com. In her own way, Marian McPartland (1918-2013) was truly instrumental (pun somewhat intended) in educating the world about the great pianists and other musicians who live in our world. Through her weekly radio show, "Piano Jazz" (still alive and well on NPR), she talked and played with musicians (and others) from all across the spectrum, from Dizzy Gillespie to Studs Terkel to Steely Dan to Roberta Piket. Over Ms. McPartland's lengthy career, she recorded a slew of albums, continuing to compose and perform into her early 90s. She's been gone nearly 3 years but her show still air regularly every week (plus new broadcasts hosted by her hand-picked successor, Jon Weber). Since her passing, there have been plenty of written tributes but no recordings of her music. Until now. Roberta Piket (pictured left with Ms. McPartland) had organized a band in 2014 to pay tribute to the late composer and, a year later, she brought that ensemble into the studio to record "One For Marian: Celebrating Marian McPartland" (Thirteenth Note Records). 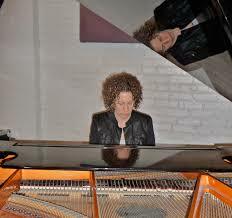 Produced by Todd Barkan, Ms. Piket chose six of the pianist's pieces plus two of her own to arrange for a sextet that features Virginia Mayhew (tenor saxophone, clarinet), Steve Wilson (alto saxophone, flute), Bill Mobley (trumpet, flugelhorn), Harvie S (bass), and Billy Mintz (drums, percussion). What stands out besides the superb musicianship of all involved are the wonderful melodies that the ensemble performs. The two "new" songs include the lovely "Saying Goodbye" that opens with piano plus flute, clarinet, and trumpet before sliding into a waltz-like tempo led by the full-toned (and melodic) bass and the splendid brush work. The other Piket composition is the feisty title track featuring a strong melody line and excellent solos from Ms. Mayhew (tenor sax), Wilson (alto sax), and the leader. Mobley is in fine form throughout, especially on "In the Days of Our Love" and on "Time and Time Again" where he picks up the melodic thread from Ms. Mayhew's tenor sax and expands it with his tasty muted trumpet (over the bongos and conga work of Mintz). Wilson's flute work stands out on "Threnody", his dancing and playful phrases in sync with the "swing" of the rhythm section. Originally a ballad that Ms. McPartland composed to commemorate the life of Mary Lou Williams, this new arrangement chooses to celebrate the memory of that pianist/composer in a breezy, sweet, fashion. Vocalist Karrin Allyson joins Ms Piket for an intimate reading of "Twilight World", a handsome melody with lyrics by Johnny Mercer that was most famously recorded in 1972 by Tony Bennett. Elsewhere on the album, Ms. Piket's playing is quite expansive; here, she is delicate, supporting the excellent vocal with lush chords and melodic counterpoint. The album closes with "Kaleidoscope", which attentive listeners and fans should recognize as the theme to "Piano Jazz" - after an impressionistic opening piano solo, the band his the ground running with exciting solos from Wilson (alto), Mobley (trumpet), Ms. Piket, and her husband short but powerful drum statement right before the close. 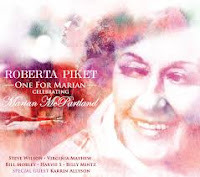 "One for Marian" does an excellent job not only in celebrating the work and life of Marian McPartland but also in reminding listeners how fine a composer she was. Roberta Piket plays with grace and fire as does her excellent ensemble. Let's hope there's a Volume 2. For more information, go to thirteenthnoterecords.com/marian-page/. 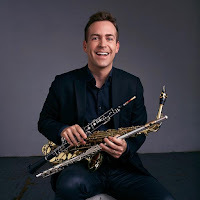 There are few things more fun than listening to the Daniel Bennett Group. 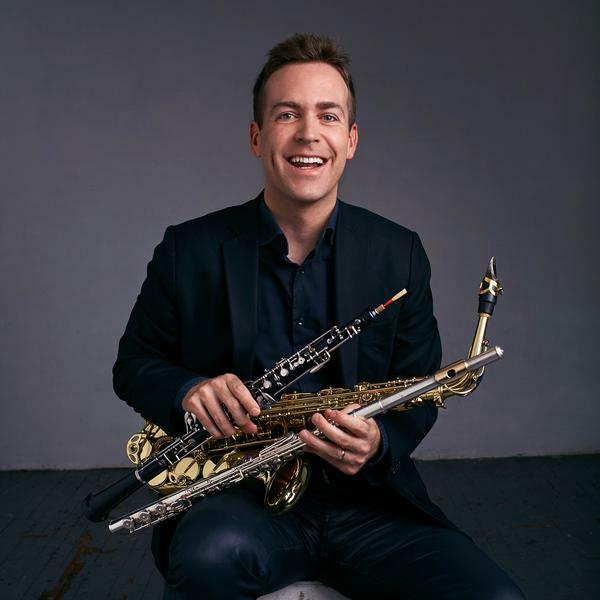 Over the course of six albums, Mr. Bennett (who plays alto saxophone, flute, clarinet, piano and other reeds) has created music that is wonderfully un-categorizable. Sometimes it sounds like rock, sometimes jazz, sometimes "pop", usually more involved with melody and atmosphere than with long solos. Album # six is "Sinking Houseboat Confusion" (Manhattan Daylight Media Group) and the 10 tracks feature his "working" group of Nat Janoff (guitars) and Matthew Feick (drums) plus bassist Eddy Khaimovich with guests Michele Herman (spoken work on one track) and guitarist Mark Cocheo on the "Acoustic Reprise" of the title track). As for that title track, it shows up four cuts into the program and rocks out something serious, with chunky guitar chords, thumping drums - the song also has a handsome melody played by alto sax and shadowed by the flute and electric guitar. Janoff's jangly guitar riffs leads in "Paint The Fence"; the melody, played on flute (Bennett has such a lovely tone), is pushed forward by the dynamic drum work of Feick. The bassist gets a short yet quite melodic solo as does the lead as the piece flows to a close. Bennett's song titles often include animals; this album has "Doctor Duck Builds a Patio", "John Lizard Comes Home", and the generic "Animals Discussing Life Changes" (only the title is generic as the song is a sweet vehicle for Bennett's clarinet). "John Lizard..." opens the program on a thumping beat, perfect for dancing around - the band describes its music as "Surf Rock" and, while it isn't just that, that designation fits this track to a T. "Doctor Duck..." is a bit funkier in the rhythm section but also has a splendid melody that s quite well constructed. Ms. Herman shows up on "Little Disappointments of Modern Life" - the track opens with an unaccompanied alto saxophone that is the closest to jazz the album gets. When the poet recites her work, the saxophone lines now are looped and processed) and there's a hard-edged solo to close out the track. The "Acoustic Reprise" closes the album with Bennett playing a handsome melody (not the melody from "Sinking Houseboat Confusion") over several guitars, one of which (an acoustic) bounces between the speakers. After 5+ minutes, the band breaks into the acoustic version of the song. The piece still retains its bounce, just in a gentler fashion. 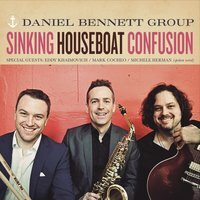 Listen - if "this whole world is getting you down", you should go "up on the roof" with the Daniel Bennett Group's music in tow. Pour a cool drink, set up a lawn chair, and crank up "Sinking Houseboat Confusion." The world outside your doors will still be crazy but your mood will be much lighter after this music. Busy time for the arts in Connecticut what with the International Festival of Arts & Ideas in New Haven, regional theaters busy with their individual presentations, town concerts beginning and so much more. Meanwhile, The Side Door Jazz Club in Old Lyme continues its excellent weekly weekend concerts. This Friday (6/17), Jan and Ken present Gillian Margot's Black Butterfly Project. Ms. Margot (pictured above left), a native of Canada, released her second CD last December, "Black Butterfly", on HipNotic label - produced by Jeremy Pelt, the album displays a person with a fine voice, an impressive presence and a smart arranger. For example, there's a great a cappella rendition of Joni Mitchell's "Conversation" that's filled with emotion. She locks in with bassist Richie Goods on "What You Won't Do for Love" and one cannot miss the longing in her voice. She and Goods introduce "Holding Back The Years" (the soulful Simply Red song) - that direct approach draws the listener in. The only original is "Yesterday's Blues", a duet with Goods that showcases both artists at their best (Ms. Margot's finger snaps are the only percussion!) Her take on "Delirio", a lovely ballad from Cuban composer Cesar Portillo de la Luz (1922-2013) is delicate and quite moving. For her appearance in Old Lyme (which will feature most of, if not all, the material from the album), Ms. Margot has a top-notch trio including bassist Goods, pianist Geoffrey Keezer, and the great drummer Billy Kilson (Dave Holland Quintet, Chris Botti). They'll begin their first set at 8:30 p.m. For more information and reservations, call 860-434-0886. On Saturday night, The Side Door presents Christos Rafalides Manhattan Vibes. Mr. Rafalides, who has studied with the great vibraphonist Joe Locke, is a fine player whose music mines the percussive quality of his instrument but also loves melodies and interactive arrangements. His band includes long-time associate Sergio Salvatore (piano), Thana Alexa (vocals), Petros Klampanis (bass) and Mauricio Zottarelli (drums, percussion). Ms. Alexa possesses a beautiful instrument in her voice (you'll hear that in the video below) and is an integral part of the ensemble. The doors open at 7:30 p.m. and the musicians take the stage an hour later. For more information and reservations, go to thesidedoorjazz.com. On Friday, The Buttonwood Tree, 605 Main Street in Middletown, welcomes the Omar Tamez Fantasía Quartet. Tamez, a native and resident of Mexico, is a first-class guitarist and composer who has performed around the world with artists such as Wadada Leo Smith, drummer (and Wesleyan instructor) Pheroan akLaff, drummer/composer Tyshawn Sorey and many others. He's bringing quite a group to The Buttonwood including pianist Angelica Sanchez, clarinetist Guillermo Gregorio, and bassist Joe Fonda (a frequent visitor to Middletown and the venue). The music will have an experimental edge (the leader calls the group a "chamber ensemble") and can and will go in many directions. To learn more about Mr. Tamez and his music, go to omartamez74.wix.com/omartamez. For reservations and more news about the venue, go to www.buttonwood.org. That lovely smiling face belongs to Ms. Jocelyn Pleasant who is a drummer and composer living and working in Middletown and beyond. She's part of an ensemble called The Final Notes that...well...will be playing the "final notes" of the Spring Concert season at Firehouse 12 in New Haven. Besides Ms. Pleasant, the quartet is composed of bassist Doug Touissaint, pianist and keyboardist Julian Reid, and vocalist Tina Colón. Admission for the evening will get you into both sets (8 p.m. and 9:45) where the band will be playing originals and new arrangements of popular songs. For more information, go to firehouse12.com. Ms. Pleasant will be appearing with her group Medusa next Friday (6/24) at The Buttonwood Tree - more about that next week. The 19th Annual International Festival of Arts & Ideas starts this weekend and runs through June 25th (no shows on both Mondays). As usual, the programs are a mix of music, art, theater, dance, discussions, movies, interviews and more, much of it free and open to the public. - go to www.artidea.org/calendar to check out all the events). Among the ticketed events are the three-night run (556/14-16) of choreographer Kyle Abraham and his company, Abraham.In.Motion. The troupe will share the stage with pianist Kris Bowers, drummer Otis Brown III, bassist Chris Smith, and the impressive vocalist Charenee Wade who will perform music composed by Robert Glasper. Composer Julia Wolfe, the SITI Company and the Bang-on-Can All-Stars present "Steel Hammer" Thursday 6/16 through Saturday 6/18 - the music, theater, and dance piece tells the story of the legendary John Henry, "the steel-drivin' man." 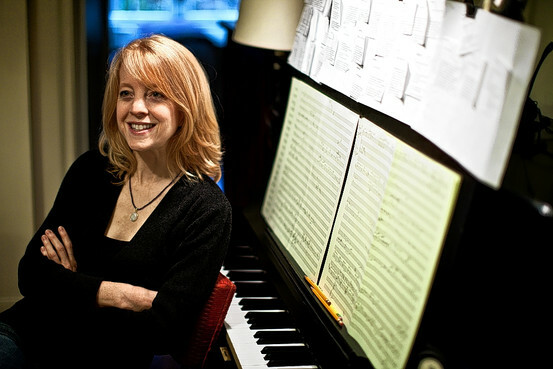 And, on Wednesday June 15, the Maria Schneider Orchestra will play at 8 p.m. in the Morse Recital in Sprague Hall, on the corner of College & Wall Streets in the Elm City. Ms. Schneider (pictured above) has had quite a year. She arranged and recorded a piece with the late David Bowie that won the GRAMMY for Best Arrangement earlier this year. She also carried home the award this for Best Jazz Large Ensemble Recording, honoring her brilliant ArtistShare album, "The Thompson Fields." Last month, Ms. Schneider won five different categories in the Jazz Journalists Association Jazz Awards. Currently, the MSO is the midst of a 5-night run at Birdland in New York City. For the New Haven concert, she and the Orchestra will be premiering a new piece that was co-commisioned by the Arts & Idea Festival's Fund for the Future. 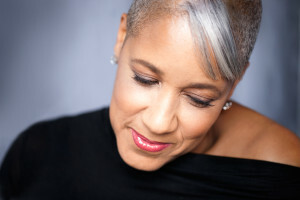 The program will also features songs from "The Thompson Fields" and you can be assured she'll dig into her impressive catalog of compositions that has built over the past two+ decades. A good number of the 17 musicians in the MSO have been there since the early 1990s when she began a 5-year residency at Visiones in Greenwich Village. Like Duke Ellington as well as her mentors Bob Brookmeyer and Gil Evans, Ms. Schneider writes for the various members of the orchestra. Amazingly, there are still tickets available - go to www.artidea.org/mariaschneider and reserve yours now. Maria Schneider will also be part of a panel discussion on Tuesday at 5:30 p.m. in Whitney Humanities Center, 53 Wall Street, the night before the concert. Titled " Taking Ownership: Music and Intellectual Property in the Digital Age", legal scholar and Professor of Law at Northeastern University Jessica Silbey will moderate a conversation with Nancy Baym, Principal Researcher for Microsoft Research New England, Jean Cook, Co-director of the Artist Revenue Streams project, and Ms Schneider, about alternative models that benefit consumers and artists alike. The event is free and open to the public. The composer testified before the US Congress Sub-committee on Intellectual Property in 2014 and has been interviewed numerous times on television; she's also a member of a new advocacy group, www.musicanswers.org. Earlier on Wednesday - 12:00 noon, to be exact - there will be a free concert on the New Haven Green featuring Stanley Maxwell (yes, that's the quartet pictured left and no, there's no one in the group with that name). The quartet - Andy Chatfield (drums), Mark Crino (bass), Eric DellaVeccia (alto saxophone), and Evan Green (acoustic and electric keyboards) - is celebrating 15 years together this year, not easy for a CT-based group playing exclusively original material. Their music is great fun, a joyful mix of jazz, funk, and rock. Stanley Maxwell plays on the First Niagara Stage and it's a fine way to spend the lunch hour. To find out more about the band, go to www.stanleymaxwell.com. 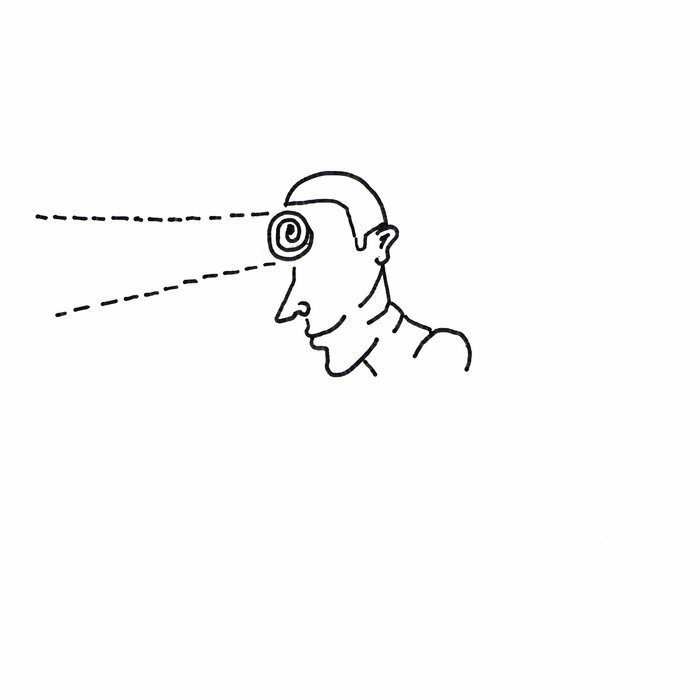 Remember - Arts & Ideas is engaging fun, often challenging audiences with provocative topics. There are events for kids throughout the Festival, especially on the three Saturdays. So, hie thee to www.artidea.org to check it all out. Tyshawn Sorey wears many hats. He's a top-notch drummer with ensembles led by Mario Pavone, Steve Lehman, Armen Donelian, John Zorn, Steve Coleman, Vijay Iyer, and has recorded duets with Roscoe Mitchell. As a leader, he has recorded CDs that reflect his interest in so many styles of music, not the least of which is contemporary classical music. 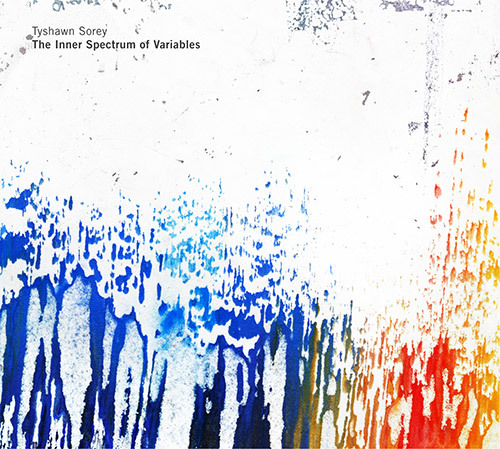 His new double-CD, "The Inner Spectrum of Variables" is his third with Pi Recordings and fifth overall. The program features his working trio - Cory Smythe (piano) and Chris Tordini (bass) - plus a strong trio composed of Chern Wei Fung (violin), Kyle Armbrust (viola), and Rubin Kodheli (cello). One of the most impressive aspects of Sorey's music is that it's not all about him and his considerable prowess as a drummer. On this recording, he does not enter until the 18:42 mark of "Movement II" (nearly 22 minutes into the album) and then it's to color below the viola and Smythe's rippling piano lines.Upon initial listening, it seems as if the piano is the central element but, when you spend more time with the music, one hears that various voices - the string quartet (including Tordini's bass) on "Movement III" , the cymbals and percussion on "Reverie", the violin and viola on the highly rhythmic "Movement IV", and the ensemble (minus the drums) through the closing track ("Movements V + VI + Reprise") - are telling this extended story. The scene is always shifting, moving from soft piano passages to percussive pizzicato from the strings to powerful interactions between the two trios to different combinations of the voices. When you take the time to really listen to "The Inner Spectrum of Variables", the different themes and variations begin to make sense and one can hear an overarching theme. Tyshawn Sorey has created music that defies categorization yet is filled with melody, dramatic solos, and long meditative passages. Don't spend time trying to figure out his influences - just pay attention and you will be rewarded as well as moved. For more information, go to pirecordings.com/artist/Tyshawn_Sorey. 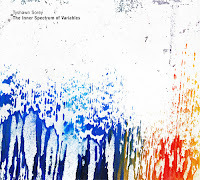 To hear samples of the music, go to tyshawn-sorey.bandcamp.com/album/the-inner-spectrum-of-variables?. 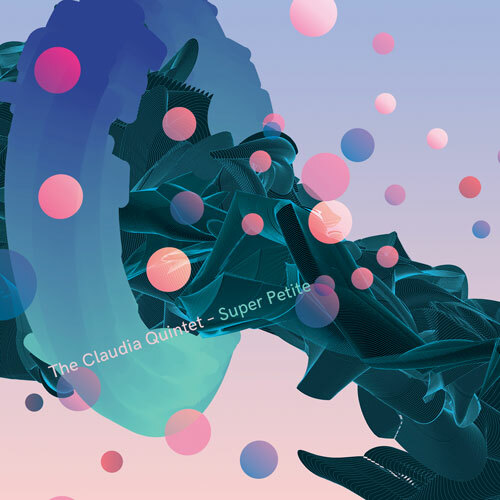 Over the course of nearly 20 years and eight albums, The Claudia Quintet has expanded upon the vision of its leader, drummer and composer John Hollenbeck. First and foremost, this is a working band whose personnel has stayed constant over the course of its existence with, really, only one change. Red Wierenga (accordion, piano) replaced original member Ted Reichman in 2012 joining Hollenbeck, Drew Gress (bass), Matt Moran (vibraphone), and Chris Speed (clarinet, tenor saxophone). Hollenbeck, who composes all the music for Claudia, usually sets a challenge for each recording, sometimes adding an additional musician or more (pianist Gary Versace joined the Quintet for "Royal Toast", vocalists Theo Bleckmann and Kurt Elling plus pianist Matt Mitchell on "What Is The Beautiful" and bassist Chris Tordini for the 7th CD, "September"). "Super-Petite" is the CQs eighth album (seventh for Cuneiform); Hollenbeck states in the liner notes, "Contrary to the current popular trend of making works of literature or recordings longer and larger, I have focused most recently on writing shorter compositions." Lest you think that he's created a jazz version of a Ramones album (14 songs in under 30 minutes), CQs album has 10 tracks that clock in at 47 minutes, the longest being 8:24 and the shortest a concise 1:53. The "short" tune, "Pure Poem", sounds like a cross between a Irish dance and Native American pow-wow music. One of the joys of listening to the Claudias is that they definitely have a distinct sound and style but you are always surprised by what you hear. The album opens with "Nightbreak", a lovely reimagining of Charlie Parker's famous sax solo from "A Night in Tunisia." Hollenbeck slows down the incredible solo and the resulting music soft and mesmerizing. There are a number of tracks that make you slow down and concentrate, such as the playful "Newark Beagle" and the delightful "Peterborough", the latter with its handsome, circular, phrases over a dancing rhythm (also listen for the unison work of Wierenga (accordion) and Speed (clarinet). "Mangold" moves at a deliberate pace; after a mysterious clarinet/vibes opening, the piece falls into a slowly unfolding fragmented melody (low accordion notes paired with Gress's bass lines). Suddenly you realize that it's the drummer is pushing the music forward, ever so gently. The Claudia Quintet keeps one on his toes. One hears traces of prog-rock, slabs of hard-bop, a touch of minimalism, a bit of humor and a dollop of funk. "Super-Petite" will more than satisfy long-time listeners; those new to the ensemble should leave their expectations at the door and listen with fresh ears - the music is worth it! For more information, go to johnhollenbeck.com/band/the-claudia-quintet/. One of the joys of actively listening to music is finding a new artist and discovering his or her music and then discovering that the artist has been around for over 2 decades. Nick Fraser has been an integral part of the Toronto, Canada, music scene as a "first-call" drummer when visiting artists come to the city and he has led or co-led several ensembles that have been in the forefront of the creative music scene north of the border. In the 2013, he built a quartet around saxophonist Tony Malaby (tenor and soprano saxes), bassist Rob Clutton, and cellist Andrew Downing. Originally, Fraser had envisioned the ensemble to have two bassists (similar to the lineup Ornate Coleman had in the latter part of his long career and one that Bill Dixon used in several occasions.) It was Downing who suggested he play cello instead to serve as a melodic foil to the saxophonist and to interact with with Clutton's bass. Critics and audiences approved and the Quartet has become Fraser's main vehicle (although he and Malaby linked up with pianist Kris Davis for a 2015 recording released by Clean Feed Records. Fraser's second album with the Quartet, "Starer" (self-released, cover above left), continues the sonic experiments of the group's debut CD. Each musician contributes to the direction of the music. On the powerful opening track, "minimalism/416-538-7149", the pulsating drone of the bass and cello serve as a foundation for the drums and saxophone to explore. Malaby, on soprano, flies over the ensemble while Fraser plays counterpoint. "Sketch #26" is just that, a short musical vignette with a nervous rhythm set up by the drummer as Malaby roars on tenor. The title track has an opening melody painted by the cello and drums. When the bass and tenor sax enter, the bass holds down the bottom while Malaby joins the cello in the melodic theme. They then solo at the same time, wrapping their lines around each other as the rhythm section pushes them forward. The sound reminds me of Julius Hemphill's Trio with cellist Abdul Wadud and Famadou Don Moye. The blend of sounds throughout the program is impressive. "Sketch #20/22" starts with the cello watching the range and notes of the soprano saxophone then allowing him to go out by himself. As the piece progresses, they move away and into each other, sometimes the same note, sometimes harmony, other times counterpoint. After a short section of silence, both Clutton and Downing bow furiously while Fraser plays percussive fragments. Then, the cellist plays fiery pizzicato in conversation with the drums. Malaby and Clutton enter the mix and the piece immediately picks up in intensity, a four-way conversation that explodes out of the speakers as the music reaches its powerful climax, finishing on squealing cello and sax. "Starer" is a great introduction to the work of drummer and composer Nick Fraser. His music is filled with surprises, with wonderful group interactions and impressive solo work by each member of the Quartet. The music reflects the experiments of the late 1960s and 1970s, reminding this listener of the virility and honesty of the music created by people such as Oliver Lake, Anthony Braxton, Mr. Hemphill and others. Listen closely, the rewards are numerous. For more information, go to www.nickfraserthedrummer.com.